Please join us as we celebrate the 50th anniversary of the ordination of our beloved Pastor Tom Kochenderfer during our 10:45 a.m. worship on September 23rd. A reception and luncheon in Kley Hall will follow the worship. 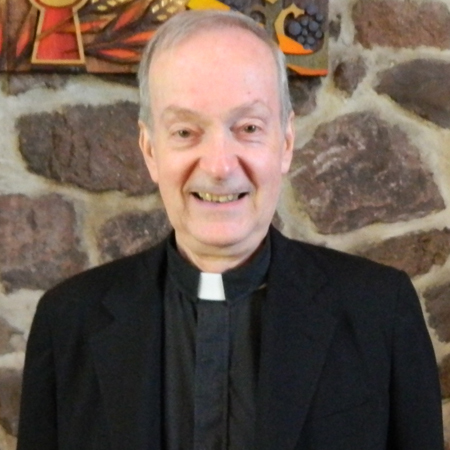 After graduating from the Lutheran Theological Seminary at Philadelphia in 1968, Pastor Kochenderfer was called to Mediator Lutheran Church in North Philadelphia where he served for 5½ years. His second call was to Tabernacle Lutheran Church in West Philadelphia where he served 11½ years. His third and last call was to St. Andrew’s Lutheran Church in Audubon where he stayed for 23 years. Upon his retirement he joined the staff at St. John’s as our Visitation Pastor. He also serves as the Visitation Pastor of Augustus Lutheran Church in Trappe. In the past few years he’s enjoyed doing re-enactments of stories from the life of Henry Melchoir Muhlenberg (he lives in Muhlenberg’s son’s house across the street from Augustus). Pastor Kochenderfer loves singing in the choir at St. John’s, serving as a supply preacher and working with our Young at Heart Group. His faith and joy are contagious!